At Startups.co.uk, we make it our mission to champion exciting, innovative and up-and-coming UK businesses (just take a look at our Startups 100). And so it was thrilling to discover so many fantastic start-ups and new concepts when we launched our business profile survey competition earlier this year. Running the survey competition in partnership with VoIP phone provider Vonage, we asked you to share your business story and offered an exclusive prize in exchange; one start-up would receive a profile feature on our site along with a business boosting gift voucher. We received hundreds of entries but there could only be one winner… and that winner was Taste Tripper! 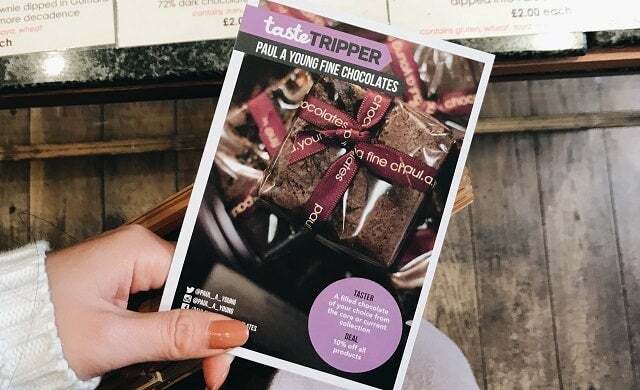 A worthy recipient, Taste Tripper was founded in 2016 by Jennifer Earle to help people find, and taste, London’s best craft food and drink while giving independent businesses a new medium to attract customers. Described as “more exciting than a guide book” and “more convenient than a food tour”, the start-up retails Explorer Packs which you receive in the post and then use your phone to collect “wonderful things to taste at each place anytime in the next nine months”. Very simply, what does Taste Tripper do? Taste Tripper connects people to great food and drink in a fun, exploratory and educational way. We do this primarily through Explorer Packs, our curated self-guided food tours. We also host charity tasting events and meals, plus interviews with people in the food industry. How did you come up with the business idea? I founded London’s first food tour business, Chocolate Ecstasy Tours, in 2005, with the same intention to introduce people to what I felt to be life-changing chocolate, but in a fun and light-hearted way. I still run and love these tours, but I realised not everyone wanted to be led around and might prefer to explore alone and on their own schedule, as I like to when I travel! I’ve attempted to package up the best parts of the tours (fun facts, tasting and special VIP offers!) and love that the time flexibility makes it work for coffee and alcohol and so many more things that different people have different capacities for. We also intend for Taste Tripper to help people discover places that are curated to be top of their game in a city overflowing with options, so they don’t waste time, money and calories. Alongside running Chocolate Ecstasy Tours, I used to also work full-time as a food buyer and then as a food developer, selecting, designing and planning product launches for major retailers. I’m an expert judge for the Academy of Chocolate Awards, the International Chocolate Awards, Great Taste Awards, Quality Food Awards and Which? Magazine. I also lead food innovation tours for retailers and manufacturers. What has been your business breakthrough moment? I originally wanted Taste Tripper to be totally offline because I thought it made it more special and fun. After calling some of our first customers for feedback we learnt that they kept forgetting to take the cards with them that would enable them to collect their tasters. It clicked then that it needed to be a hybrid, at the least, if it was going to be truly effortless for people to explore. It took us nine months to create a web-based version of the app but it’s transformed the customer experience and our ability to know how and when people are using the Explorer Packs which will allow us to improve further. What has been the most challenging thing about starting a business so far? Getting the word out! Always. I thought it might be easier because it was my second business and because it’s totally unique, but Taste Tripper’s uniqueness makes it less easy for people to quickly understand! What do the next 12 months hold in store for Taste Tripper? We’ve just launched a beta version of an android app and the iOS version should be available by the end of summer. We’ll launch a London Bakery Explorer and a London Vegan Explorer within the next 12 months and plan to launch an Explorer Pack in another UK city, too.